You are here: Home » Fitness First? More like Fitness Free! Fitness First? More like Fitness Free! For the past few years now, Thomas and I have been devoted gym rats. By gym rats what I really mean is that we try our best to be active, go to the gym, and lead relatively healthy lives. If we fail to do any of the three, we sit in a puddle of guilt. With that said, we were totally commited to keeping up our daily routine of hitting the gym after work once we moved to Singapore. We budgeted for a gym membership before we left Calgary, and we even got the very best trainer available, Laura, to send us workouts on request! 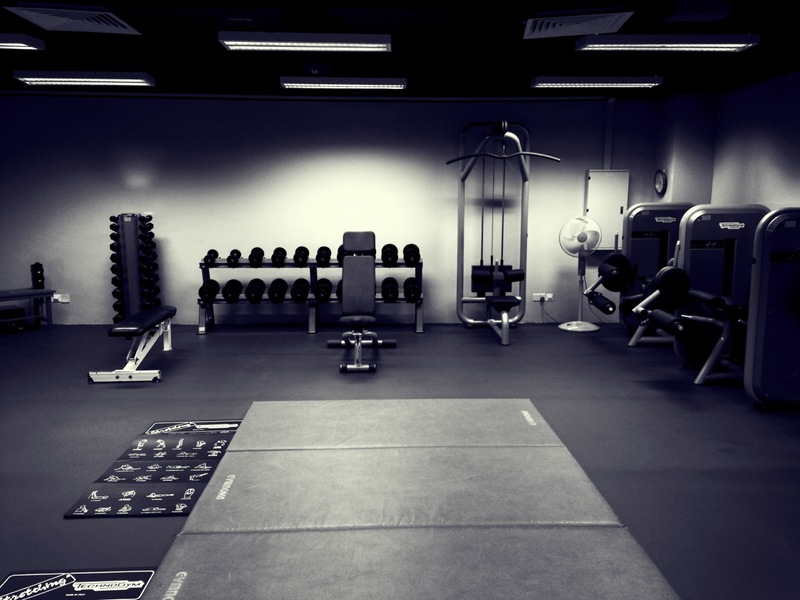 Luckily for us, our new school has a fully equipped gym that is virtually always empty! We’ve been ‘pumping iron’ ever since. How much is too much for you to spend on gym fees? We’d like to know if we’re being total cheapskates or if we should have taken the hit and joined a ‘real’ gym!